In this type of games the main goal is to get out of a particular location, free. Combine logic and perspicacity in solving puzzles and finding clues and items needed to pass various doors or logic themes. Try to escape from this fun house by figuring out the puzzle to multiple rooms. An innocent prisoned man has two weeks to escape before he's locked up for good. Use your skill and assist a strange creature to escape from a toy shop. Escape from the museum by finding camera in museum and opening the exit door. Clock Room - There is a big clock on the wall that indicates the clue to open the door. Ancient Odyssey - Solve various logic puzzles for smart people, and go out of pyramid. Legendary Escape - Dare to enter the epic adventure full of brain teasers and locked doors. Escape From Circus - Find the way with your mind to go out of the circus tent. Escape From Circus 2 - Other 25 levels with smart puzzles to go out of the circus tent. Escape The Great Prince - Use your mind and perspicacity to release the prince turned into statue. Escape Mystic Island - In this game the object is to find way to escape from a mystic island. Blue Room Escape - Try solve all puzzles, find way to escape from this blue room. Find The Treasure - Find useful objects and clues to solve all puzzles to find the treasure in this mystery house. 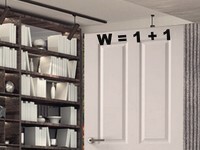 Puzzle Door - Let`s solve all puzzles, wits to piece together the clues, find way to unlock this room. Fantasy Blue Room Escape - Look for clues, solve all the puzzles, find way to finish this game. Skippy - Skippy ate the wrong berries and shrunk himself. Help him get back to normal size. Four Orbs Yellow - Look for clues, solve puzzles and found out the 4 orbs to escape from the yellow room. Escape From Lonely Room - Find way to go out of a lonely green room by fiding all the clues and objects carefully hidden.